real 68 dodge charger RT, number matching car with power steering, power disc brakes, AC and lots more. R6 red with black interior, buckets/console. Will need light restoration and mechanical work to be road ready. Has some filler and small patch in trunk pan looks like from early 80’s but all original sheet metal down to the hub caps, factory HP 440, 727 auto., and 3:23 sure grip just as the fender tag decodes it. 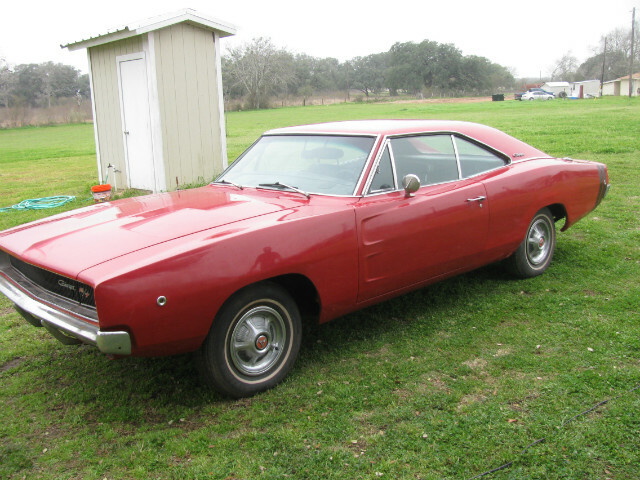 I will have this charger for sale as is for a few months, if it has not sold then I will restore the car. You will not find another real deal 68 like this for the money. A true collector RT. Call for details.